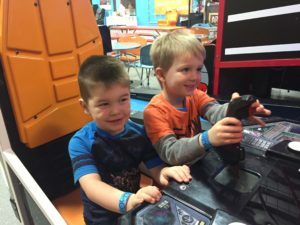 Jacob was invited to his first school friend's birthday party at SkyZone (trampoline park). 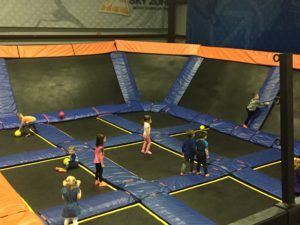 If you haven't heard of SkyZone before, its an indoor play yard with wall-to-wall trampolines, foam pit, games, and concessions. 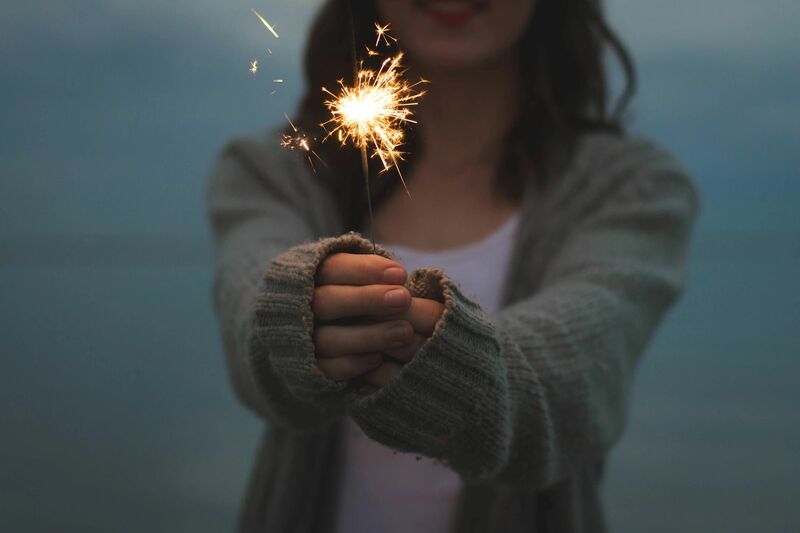 It's the perfect place to let your kids expend some energy on a cold or rainy day. 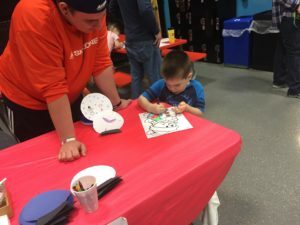 There are a million reasons why SkyZone is a great place to bring your family any time of the year, but below are my top 5 reasons why hosting your kid's birthday party at SkyZone will have them jumping for joy (literally). Not everyone can or wants to jump. Luckily, there are a dozen arcade games to play. Unlike other arcades, there aren't game cards or tickets to earn prizes, but these games offer enough fun and competition while the rest of the group is jumping. The first thing that impressed me was that we were given access to a private trampoline area accessible to party members only. Jumpers had plenty of space and access to all areas of the trampoline for a full 30 minutes. Parents could stand around the perimeter of the trampolines or view from an elevated platform area reserved for other parties. One of the best aspects of the party was the SkyZone employee that was assigned to our party to basically guide everyone through the experience. With such a big space and lots of excited little kids, it was SO helpful to have someone lay out the rules, guide us to each area, watch the clock and even fetch drinks for the adults! Our host was so energized and engaged with the kids; he let them throw balls at him and chase him around the trampolines. I know the parents were grateful to have him there. While this might not matter to many parents, I LOVE structure and appreciate a well-structured event anytime I attend one. This event started at 9 am on a Sunday morning (a little early for some families). Ask any parent and most will tell you the last thing they want to do is spend their entire Sunday at a kid's birthday party, especially when you have other kids. Thankfully, the party started on time. We learned the rules and flow of the party from our host before being guided to our private trampoline zone. After 30 minutes, we were escorted to the foam pit for more play time. Lastly, everyone got some time on the large public trampolines before we headed back to our party room for snacks, happy birthday cake and presents. Overall, we were in and out in 2 hours. 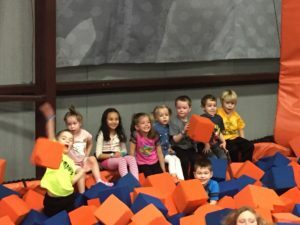 If you have a kid's birthday party coming up, consider hosting at SkyZone (and invite us!). There are different package levels and costs to accommodate your party needs and bonus - you look like the rock star parent that you are!